My daughter loves snack day at school, especially when she gets to bring it for her friends and teachers. 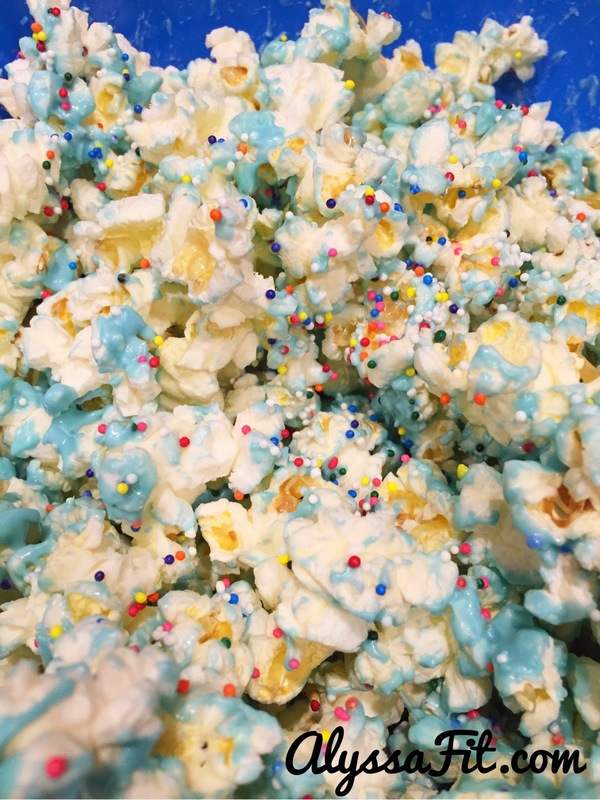 Our most recent snack was frosted popcorn and was a huge hit! I was able to make three batches the night before school and store in food bags. The next morning, Miss C helped me assemble snack bags and added conversation hearts to each one. The perfect Valentine or anytime treat! Pop 1 packet of popcorn in microwave as directed. Pour cooked popcorn into large bowl. Melt 1/3 of candy melts in glass measuring cup for 30 seconds until melted. Stir melted chocolate with a spoon and drizzle over popcorn. Using a large spoon, stir popcorn and chocolate mixture until evenly coated. Add nonpareils or sprinkles while the chocolate is still warm. Stir again and transfer to airtight bag or container. Allow to cool before adding conversation heart candy or other garnish. Repeat with remaining popcorn packets. Serve or package as desired. Enjoy!